Cazino Cosmos is a sequel to the popular video slot Casino Zeppelin. In fact, if you’re familiar with the original title, you’ll undoubtedly adore that Yggdrasil kept the sticky wilds that made the original game so popular. And they’ve even added a twist to the mechanic to create an even more engaging slot! Indeed, Cazino Cosmos not only pays tribute to the original slot exceptionally well. But the sequel also has an achievement builder feature. What’s more is that the max win of the sequel is also much higher than the original game. Since you’ll have the chance to pocket just over 11,000x your stake! All and all, Cazino Cosmos is a very well designed game with bonuses that will keep you on the edge of your seat as you play. So let’s explore this new slot and see what else it can offer you. Bonuses & features: Achievement builder, symbol permutation, Sticky Wilds, wild nudges, Extra Wild, and Free Spins. Highest-paying symbol: 5 men with moustache symbols on an active paylines give 2000 coins. So, when you first launch the game have a look just over the reels. You’ll notice a meter with 5 empty spaces that you’ll fill one space at the time when a specific Wild land on its own reel. A good thing about the symbol collection meter is that the first time you’ll launch the game Yggdrasil will add 6 collectibles to the meter. Which means that you’ll get a head start at triggering 3 of the 5 unique Free Spins bonus that each completed collection triggers. To sum up, if you complete the first reel collection of Cazino Cosmos, you’ll automatically play 5 Free Spins with extra Random Sticky wilds. Completing the second collection will give you 2 extra wilds on the second reels, and you’ll play 10 free rounds. The zero gravity Free Spins is the third collection you can complete. And this bonus will activate the nudging wilds feature. The fourth collection you can finish is the Maturation Free Spins. This bonus always selects a high-paying symbol at the beginning of the feature to transform it into a sticky wild. And finally, you’ll activate the Expansion Free Spins after completing the fifth reels’ collection. When this feature is active all-new wilds symbols that land in view always appears stacked. Completing a collection is not very easy since Cazino Cosmos is a high volatility slot game. So don’t worry, you’ll still have the chance to play up to 20 Free Spins when 5 or more Free Spin symbol land in view. If only 3 appear, you’ll play 10 Free rounds. And 4 Free Spin symbol will reward you with 15 Free games. Like many achievement builder games, it pays off to claim a casino bonus to play it, if the casino you play at allows it. Because undoubtedly to activate all the features the game offers you’ll need to play for a while. But a great thing about this game is that having a long casino session is extremely rewarding. The features a varied and every spin bring something different to the game. 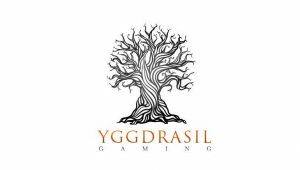 So head out to any casinos mentioned on casinoportal.co.uk to play this excellent sequel by Yggdrasil!